To grind the stump, or remove it? Now that is a good question. Actually, this has been an age-old landscaping dilemma that a lot of people have been dealing with because tree stumps can become a real cause for concern over time. 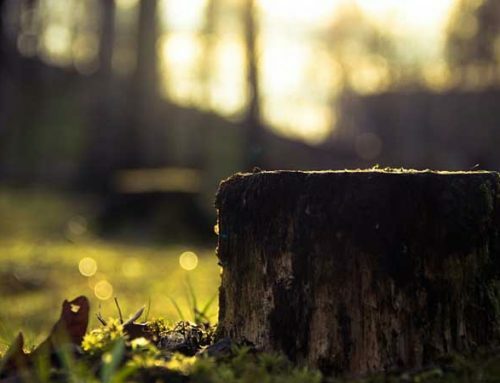 For one, leaving a stump in the ground can be dangerous to the people living within the area. It is a trip hazard. You may be held liable for any injury that the person suffered for tripping over it. Tree stumps are famous for attracting termites, too. And once a rotting stump is infected with termites, removing it will be much more difficult. By the way, stump grinding termites won’t work. And a tree stump’s roots can damage sewer lines according to the Department of Agriculture. So, is tree stump removal necessary? Definitely. But which manner of selective clearing should you choose? Is it better to grind a stump or remove it completely? Let’s see the pros and cons of both first. The grounded stump can be used as a mulch, making this method more cost-effective when it comes to disposal. Stump grinding is faster with the average time of around 30 minutes to 2 hours. How long it will take to get the job done will depend on the size of the stump, the type of tree, how it was cut, and which grinder is used. It’ll take longer to grind hardwood trees such as cherry, birch, and aspen. Stump grinding is precise. The process will not affect the surrounding building or trees. Stump grinding creates a big mess. You’ll be left with a good pile of wood shavings and sawdust after the grinding is done. What happens to roots after stump grinding? It depends on the roots. Some will decompose and may create air pockets, while others will continue to sprout long after the stump is gone. Tree stump disposal can be a problem. Not all yard waste collection sites accepts a tree stump. There are some cases wherein hiring a truck to transfer the stump from one location to an area where it is accepted for disposal is needed. This will add a big chunk to the cost. Filling the hole where the tree stump used to be. Take note that the size of the area that the root wad covers can be ten times bigger than the tree’s diameter. Both methods are great. Deciding which one to use will depend on your goal for clearing out the stump. If you want it completely gone, then the physical stump removal is what you should go for. If you don’t want to go into the trouble of filling out a big hole and pay for a possible stump transfer, stump grinding is your best bet. You must also take into account other important factors like safety. Experts are trained to remove it without causing unnecessary damages. Assessment by an expert is just as important as the removal itself because stumps are not created equal. A specific grinder, for example, is needed for a type of stump. Then there’s a question of the soil’s stability, too. Timberland Tree Care’s licensed arborists can easily do the hard work for you! Call us any time for expert tree stump removal!